Atarah (diadem) – a tab stitched to tallit gadol. Atarah is an integral part of tallit gadol and is located on the one of its longitudinal sides serving as a kind of a collar. This tab of rectangular form with rounded edges was made in order to distinguish the upper and outer parts of the tallit from the lower and inside part. The white fabric of the atarah has embroidery made with large silvery beads and a lacy-interwoven ornament of glittering threads. 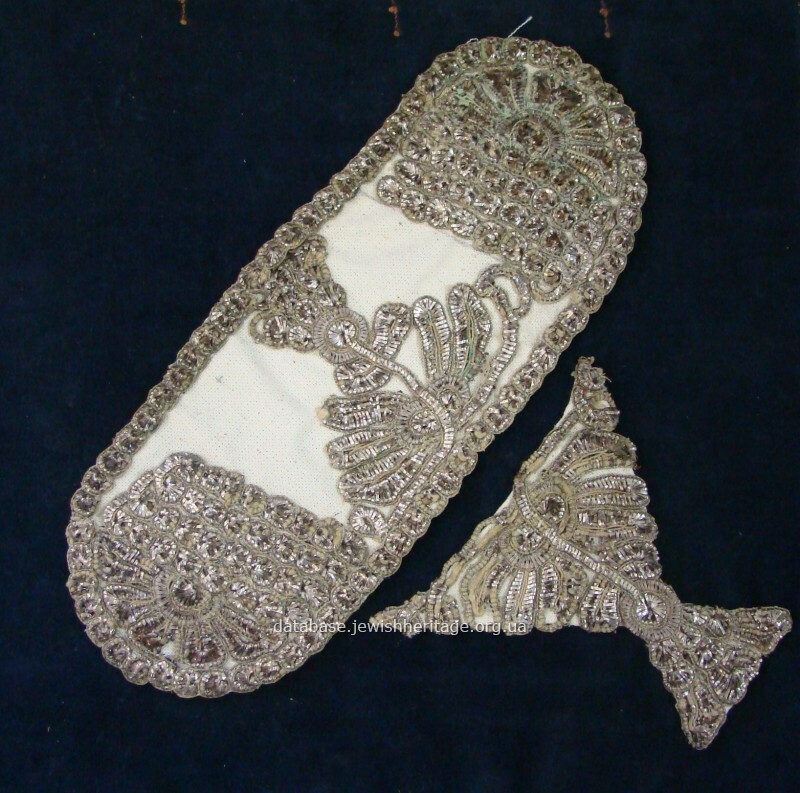 The atarah consists of two parts: one of the rectangular form with the rounded edges and embroidery in the center and on the edges, and the other of the goblet form whose shape is similar to the embroidery in the enter of the first part of the atarah. Spanish strip – Spanish stitch – a method of complicated Spanish embroidery – braiding with a metal thread.